Minnesota’s next round of research implementation projects will reduce the spread of noxious weeds along state highways, improve the quality of asphalt on Minnesota roads and enhance the inspection of state bridges. Each winter, MnDOT solicits proposals from staff who want to put local or national research into practice in their day-to-day work. “Certain departments have problems they’ve been working on for a long time and they’ve spun their wheels or not had the staff resources to get something done,” said MnDOT Research Services & Library Project Advisor Bruce Holdhusen, who helps employees develop their proposal plans. 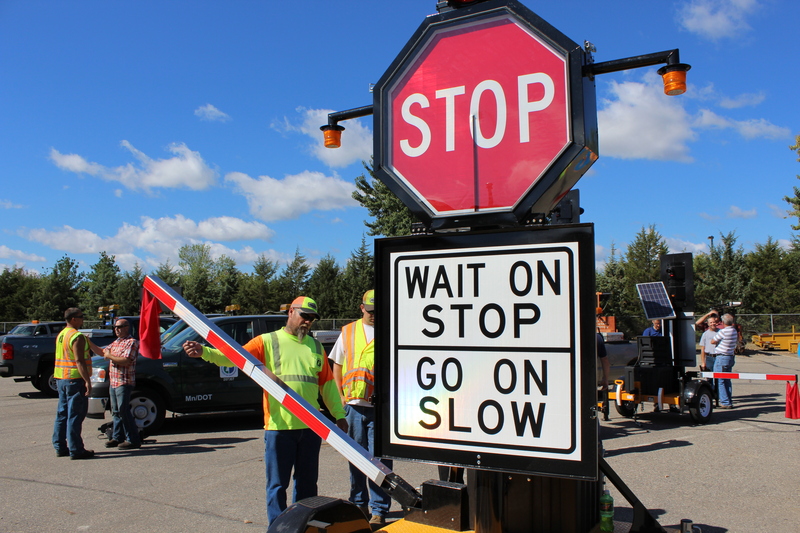 One implementation project will complete testing and demonstration of portable traffic control devices (auto-flaggers) to increase their usage by highway maintenance crews. MnDOT provides the funding needed for equipment, consultant services or researcher assistance. Supervisors also must sign off that they’ll make time for the staff member to implement the practice. Installation of GPS units on MnDOT mowers to alert highway maintenance crews to areas of noxious weeds. This is anticipated to cut herbicide usage in half. Purchase of 3D sonar equipment for underwater bridge inspection, which is currently performed by engineer-divers. Selection of an alternative, European-branded center-line rumble strip (Sinusoidal) that produces less stray highway noise. Implementation of an innovative asphalt-quality test, developed by MnDOT’s Office of Materials and Road Research, to assess the cold temperature-cracking properties of asphalt mixes proposed by contractors. Advertisement of state rest area amenities on highway notification signs. This pilot project will target 13 rest stops.